- Rent a desk: how much does it cost, and where can you get the most for your money? Rent a desk: how much does it cost, and where can you get the most for your money? So, you’re a freelancer – or maybe you’ve started your own business? You tried working from home, but the novelty of answering emails in your pyjamas soon wore off. You moved to your local cafe, but that was only good for so long: four coffees a day turned you into a jittery mess. You couldn’t find a plug socket, and the grinding of coffee beans interrupted all your business calls. You’ve correctly decided that it’s time to opt for ‘Plan C’: rent a desk you can call your own, in an office with access to meeting rooms, printers, coffee machines etc. A space that is affordable, and will help you perform at your best. Somewhere that gives your business credibility. Okay, so London isn’t exactly the cheapest place to rent a desk. But that doesn’t mean there aren’t reasonable options out there if you’re prepared to hunt for them. Memberships at WeWork and other popular coworking branded spaces will set you back around £550 per month for a dedicated desk. If you’re happy with something more stripped-back, you can find a fixed desk for as little as £200. The startup scene in Manchester is booming. 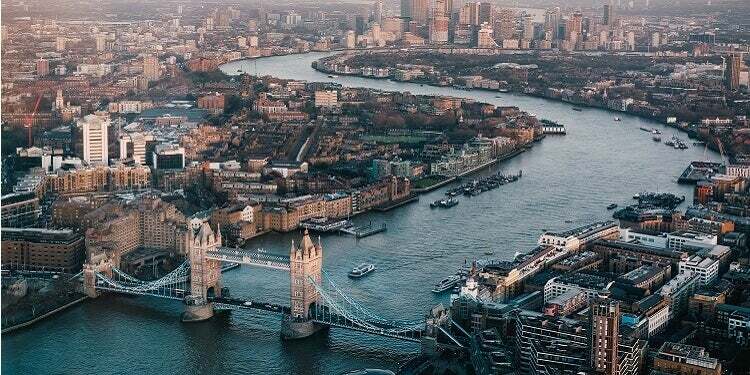 With great transport links, all the entrepreneurial buzz of London (for much less money), it’s no wonder small businesses are flocking to, and flourishing in, the North. But how much does renting a desk in Manchester cost? Again, it depends on what you’re after. You’ve got the option of a dedicated desk in WeWork spaces for around £290 per month, but it’s easy to find good alternatives for less than half the price. Some offices have even started offering all inclusive services for a price per minute of around 5-8p! 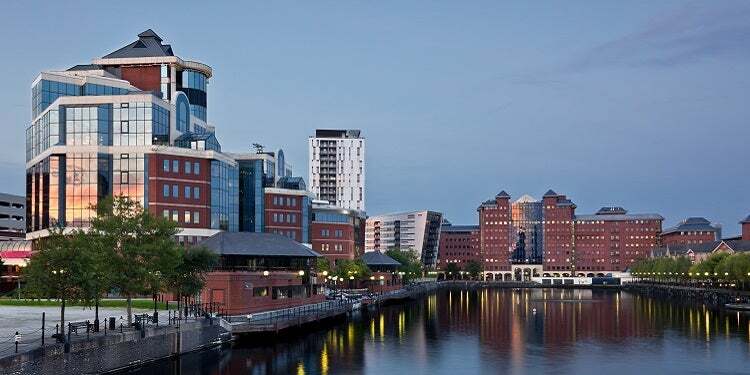 Many people make the mistake of forgetting about Leeds with Manchester on its doorstep. Yes, it’s a little smaller – but it’s full of opportunity and very much ‘up-and-coming’. Plus, the weather’s better there – something to do with being on the right side of the Pennines, apparently. In terms of pricing, expect to pay a similar amount as in Manchester. That’s to say you can get something flashier for £250 per month (for a fixed desk), or something more basic for around £150. Birmingham is the second biggest city in the UK, and the office options are plentiful and cheap. 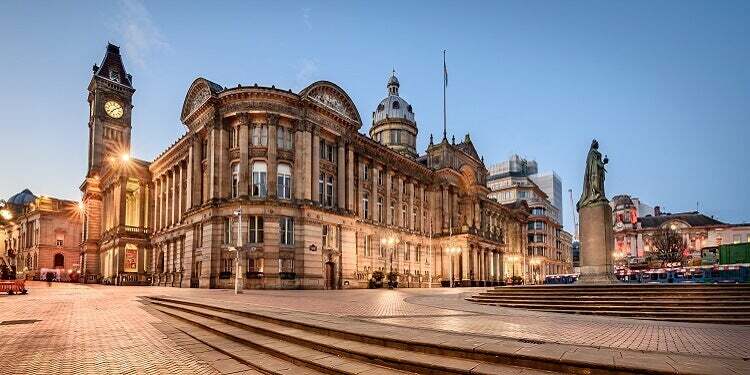 Statups.co.uk recommend Birmingham as a location to start a business because of the great transport links and access to council grants and mentoring schemes (both of which make for favourable business survival rates). But how much will a desk space set you back? Very little, as it turns out. You can actually get a complete private office in a central location from just £300 per month. And if it’s just a desk you’re after, you can get one for around £110 per month with a bit of investigating. Bristol has a great startup scene, and is certainly scenic, but ‘cheap’ isn’t a word you’d often associate with this south-western city. Whilst residential rents rival London’s prices, office spaces are surprisingly reasonable. In fact, alongside the usual pricier options, we were able to find a fixed desk in a nice, centrally located building for only £99 per month. Whether you’re based up north or down south, you’re always best off comparing prices to make sure you get the best desk deal possible. And when you’re in a position to employ others (or if you already have!) it’s important you find a private office to call your own. Simply fill in this short form to be matched with the best option for you. Whether that’s a fixed desk or a private office, you’ll get to see a selection of suitable spaces and have the option to choose the one that suits your needs. Easy peasy!